Golden temples and stupas, saffron-robed monks, and fascinating historical sites amidst magical landscapes, Myanmar is a magical country with endless wonders and a rich culture ready to be discovered and explored. An off-the-beaten track destination, Myanmar has just recently begun to attract more tourists as a result of all the momentous changes beginning in 2015 when Myanmar voted in its first democratically elected government in more than half a century. As the country opens up and invites tourists to discover all it has to offer, Myanmar remains at heart a rural nation of traditional values, an untainted and authentic place replete with natural beauty and history. 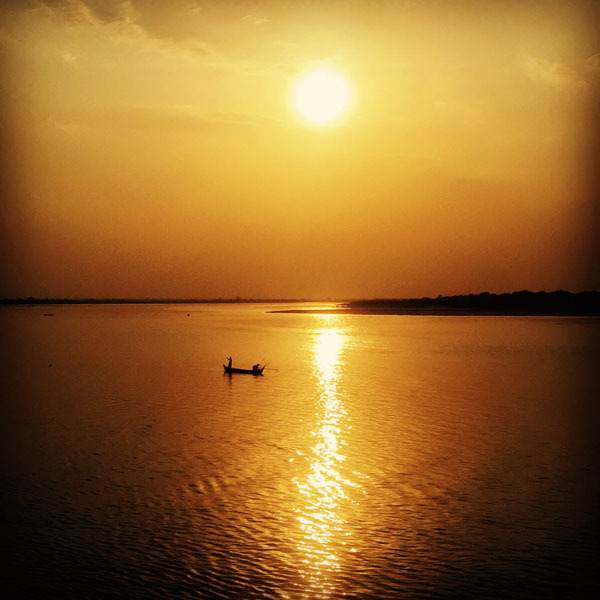 One of the best ways to explore Myanmar’s diverse landscapes, villages, and gracious locals is by embarking on a journey along the Irrawaddy River (also known as the Ayeyarwady River) aboard a river cruise. Several cruise companies serve this same route, however The Strand Cruise is one of the most luxurious and renowned, with a new ship and all the modern amenities and comforts one could hope for. Coupled with attentive staff, marvelous cuisine and a masterfully thought out itinerary, your sail will be an unforgettable experience. 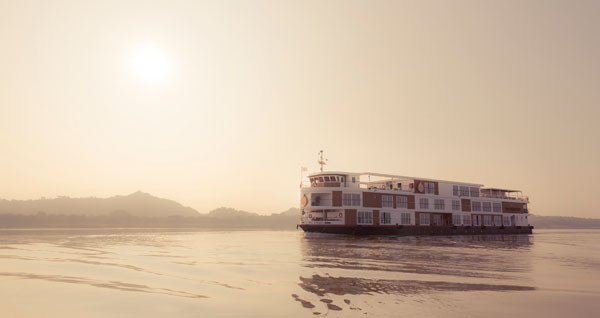 The Strand Cruise offers three night cruises, from Mandalay to Bagan, while a reverse journey will take four nights, and all meals and touring is included. A four night cruise allows you to slow down and truly immerse yourself in the experience while also enjoying the comforts of the ship like the outdoor pool and lounge area, as well as the spa and gym. 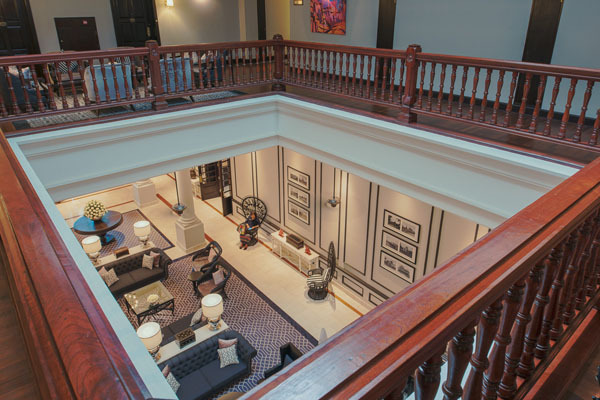 Begin your journey in Yangon at the sister property, The Strand Yangon, a five-star deluxe boutique hotel housed in a beautifully restored colonial mansion that exudes history and throughout the years has been frequented by royals and other noteworthy guests. The interior and rooms are spacious and elegantly designed. 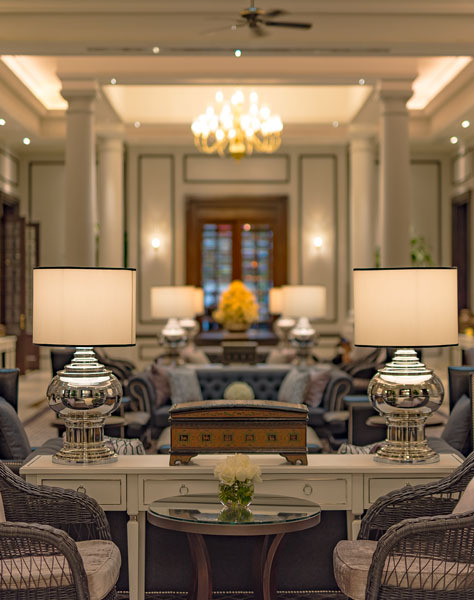 The lobby, with its cane furniture, soaring ceilings and jasmine perfumed air, transports guests to the bygone era when the esteemed Rudyard Kipling was in residence. After touring the city and taking a day to explore the majestic highlight of Yangon, the revered and awe-inspiring Shwedagon Pagoda, you will then understand what makes this such an alluring destination. 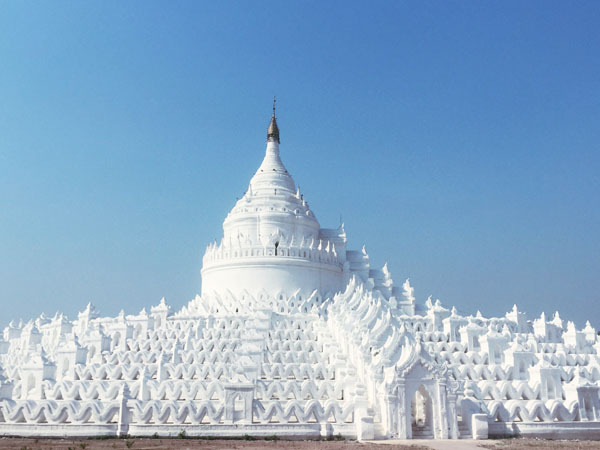 A half hour flight later and you will arrive in Bagan where you can embark on The Strand Ayeyarwady to begin the exciting cruise, but only after touring the monasteries and pagodas and taking in the impressive vistas of over 2,000 stupas dotted throughout the city, an incredible view from any direction. Excursions include sightseeing through the royal cities of Mingun, Amarapura, and the ancient city of Ava by horse-drawn cart, while taking in notable landmarks such as the U Bein Bridge, a wooden walkway that stretches for over one kilometer across Taungthaman Lake while marveling at the beauty of the country’s innumerable temples and monasteries which look even more incredible at sunrise and sunset. Back on board, you can head to the sundeck where the attentive staff can prepare fresh beverages and cocktails as you unwind from the day’s activities. The dining room below serves delectable meals with rotating menus ranging from traditional Burmese cuisine to French, and even a Barbeque night arranged off the ship on a sandbar, complete with music and a bonfire. What truly heightens the magic of this journey, is not only the spirituality, history, and culture of the region, but also the thoughtfulness and care from the team aboard the Strand. Their willingness to please and attention to detail, such as their thoughtful gifts placed in each cabin every evening, make each day a welcomed one. The Strand brings together the spirit of Myanmar with luxurious elegance – the perfect fusion and balance of beauty and comfort.